When a student uses foul language at school they often end up being sent to detention. When a parent does the same thing they can sometimes be taken to a detention facility. 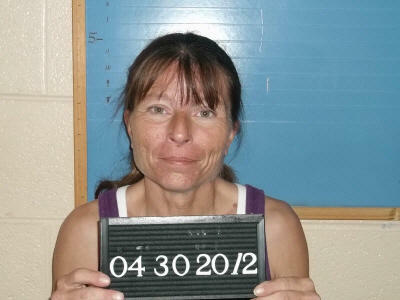 Charges were filed against a woman on April 30 after she allegedly caused a disturbance at Cannon County High School. Linda Lee Reid was charged with Criminal Trespass, Disorderly Conduct and Resisting Arrest. School Resource Officer John House reports he was contacted by Principal Tim Knox, who stated he had a parent (Reid) in his office who refused to leave. Knox said Reid was loud and using profanity. Knox said Reid was told earlier if she wanted to see him she would have to make an appointment. When SRO House spoke with Reid, she acknowledged Knox had asked her to leave. When SRO House informed her she needed to leave, Reid began to cuss the officer and also Knox again. SRO House took Reid by the forearm to walk her out of the building. She jerked away and told him to get his (BLEEP)ing hands off of her and pointed her finger in his face. SRO House pushed Reid away to create distance between them, then spun Reid around and placed her arms behind her to restrain her. SRO House had Knox contact Woodbury Police Sgt. Lowell Womack and have him bring handcuffs to the school. He sat Reid down in a chair. Reid kept trying to get up. The officer informed Reid she was under arrest. When Sgt. Womack arrived Reid was cuffed and transported to the Cannon County Jail. Bond was set at $1,500. Initial court date is May 15.